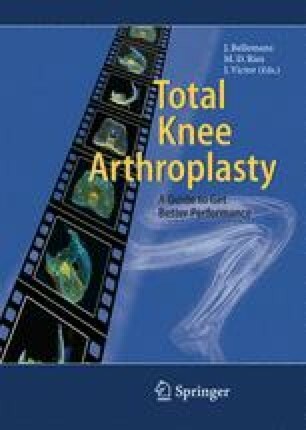 The Virtual Knee is a 3-D, dynamic, physics-based software that simulates in vivo functional activities for the purpose of evaluating the kinematic and kinetic performance of TKR designs. Implant models are virtually implanted onto a lower-leg purdue-like knee simulator that is driven through activities including gait and deep knee bend using active quadriceps and hamstring actuators. The surrounding soft tissues, including LCL, MCL, and capsule, are modeled. By varying parameters such as implant geometry, ligament tensions, component positioning, and patient anthropometrics, this complex system can be understood, which allows the design of better-performing implants.